Research Data Management (RDM) is the way you manage, store and structure data produced from the initiation to the completion of your research project. Researchers need to be aware of how they propose to manage, preserve and share their data even after the project is complete. As well as representing good research practice and enhancing the availability of data to the research community, managing and sharing research data is often required by funding bodies, along with Aston University Research Data Management Policy. RDM is part of the wider Open Research movement. To see more general information about research at Aston University, please visit Aston Research Explorer or to view Aston's publication repository, visit Aston Publications Explorer. See the below documents for a quick and easy overview of the RDM process at Aston University. Also see our LibGuides on Open Access, Open Science, Researcher Profiles and Measuring Research Impact. To understand the benefits of RDM, please contact your Information Specialist. 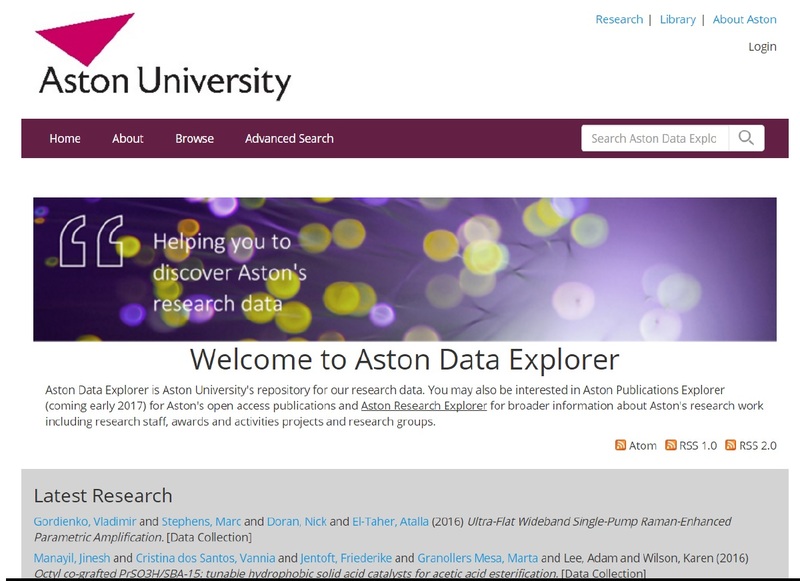 Visit Aston Data Explorer at researchdata.aston.ac.uk to upload your research data, to download datasets and view download statistics. Contact openaccess@aston.ac.uk to book your place.